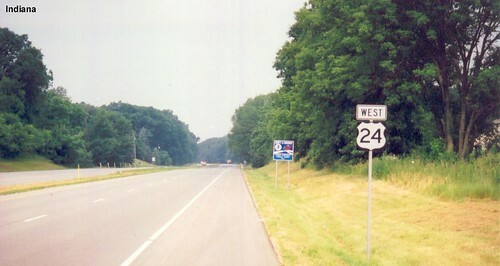 US 24 heading westbound across the Indiana state line. 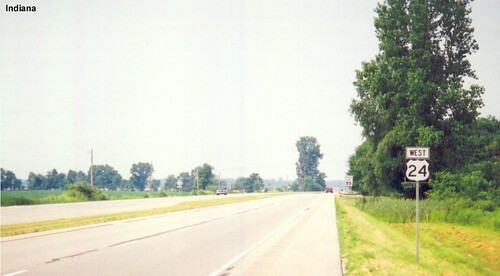 US 24 passing Peru and Mexico. 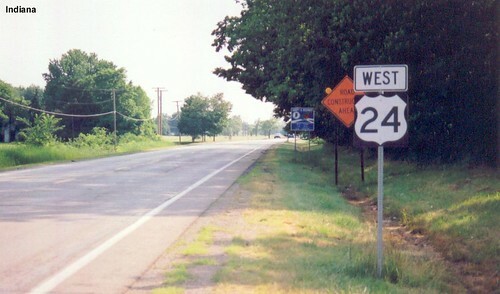 US 24 is multiplexed with US 52 in Newton County.